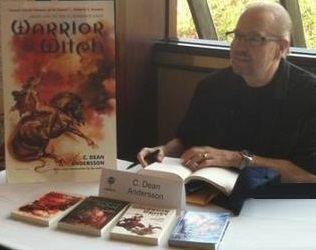 C. Dean Andersson is an American writer of fantasy fiction and horror novels since 1981, both under his own name and under the pseudonym Asa Drake. Best known as a writer of fiction in the science fiction, fantasy, and horror genres. Other work: television graphic artist, professional musician in United States Air Force bands, robotics computer programmer, and a technical writer specializing in software documentation for mainframe relational database management systems. Born in the United States of America, state of Kansas, his childhood in Kansas served as a setting for the novel, Buried Screams, and for several scenes in the novel, Raw Pain Max. A childhood encounter with Dracula in a small Kansas movie theater led to a fascination with the character and vampires in general that inspired research and spawned two novels, Crimson Kisses and I Am Dracula. 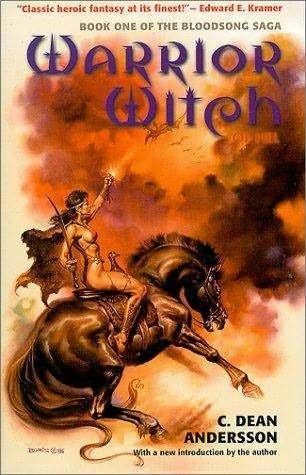 Having a Swedish-American father led to an interest in Scandinavian Mythology and Viking Age history, used for the Scandinavian Mythos Bloodsong Saga Warrior Witch of Hel, Death Riders of Hel, Werebeasts of Hel, and Valkyries of Hel (in-progress). Familiarity with Dallas, Texas provided background for the Dallas Horror Trilogy, Torture Tomb, Raw Pain Max, and Fiend. Childhood fear of Witches caused by Disney's Snow White and the Seven Dwarfs led to studies of historical Witchcraft persecutions, modern NeoPagan religions, and Goddess Spirituality that influenced thematic elements in many novels. C. Dean Andersson is a veteran of the U.S. Air Force. He has a BS in Astrophysics and a BA in Art. He is a member of the Science Fiction and Fantasy Writers of America and was a Bram Stoker Award nominee. For academic achievement, elected to Sigma Pi Sigma (Physics Honor Society), Beta Gamma Sigma (Business Honor Society), Phi Kappa Phi (National Honor Society). Horror Writers Association (HWA) Bram Stoker Award 2007 Short Fiction Finalist for "The Death Wagon Rolls on By,” featuring a very close encounter with Hel, Norse Goddess of the Underworld. "One Rode to Asa Bay,” a song and music video from the Swedish Black Metal band Bathory's album, Hammerheart, was dedicated to Dean Andersson by Quorthon, Bathory's founder, as a tribute to Andersson's Scandinavian Mythos Bloodsong Saga, originally written under the pen name of "Asa Drake."